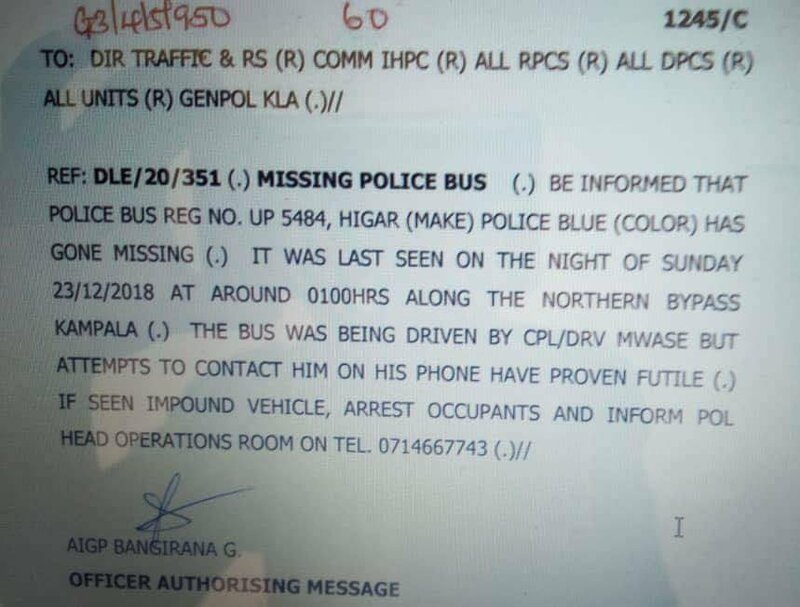 KAMPALA – Police has launched a manhunt for its bus that according to a memo in circulation went missing on Sunday night. 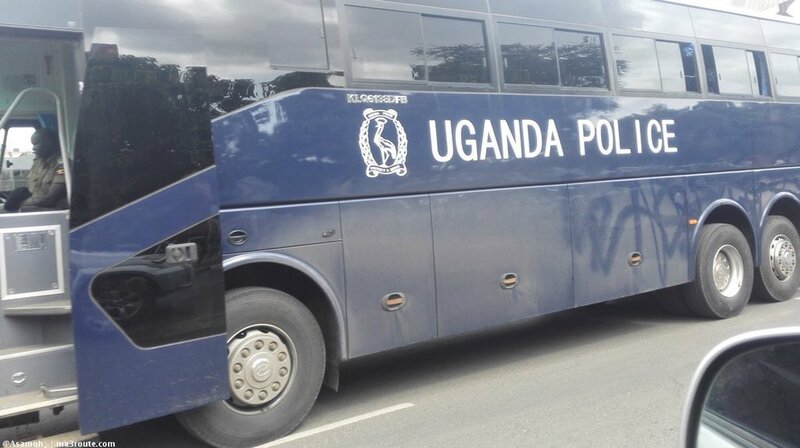 Police director of engineering and logistics, Godfrey Bangirana, says the bus was last seen Sunday at 1:00am along the northern bypass, but it has since gone missing as well as the driver who was in it. According to Bangirana, the bus was being driven by a one Corporal Mwase, but his phones have since gone off and can’t be reached for days. “The bus was being driven by Corporal Mwase but attempts to contact him have been futile. If seen impound vehicle, arrest occupants and inform police head operation room, “Bangirana said in a memo to all police commanders. This website has learnt from reliable sources that Corporal Mwase took the bus from the police yard in Namanve without authorization as required by the Police transport guidelines.